It's the day after Christmas. Congratulations on getting your new Kindle or Nook. Your reading wold is about to change. Not only can you put thousands of best-sellers on your new device, there is a whole world of authors who are principally available in ebook format. They may be published by a small press. They may be going out on their own and self-publishing their books. Either way, you probably won't find them being promoted in an email from Amazon or Barnes and Noble. But they are talented authors writing great books. Since you and your new device need some content, I'm going to let you in on three books I read this year that I really enjoyed. I think you will too. They are three different genres, so there should be something here for everyone. Steve's a guy I met through Twitter. He was actually my first interview here a few months ago. He's a great guys and written a great book. This is the first book of the Evan Gabriel trilogy, and it had me from the first page. The future Umstead has created is believable, the characters are worth pulling for, and the technology he describes is easy to understand. He tells the story of a disgraced military man given a chance at redemption. There's plenty of actions and plenty of politics. And, while this story comes to a satisfying conclusion, there's plenty here to set up the rest of the trilogy. All three parts are available now, but you can get the first book at Amazon and Barnes and Noble by following the links below. Fingers isn't his real name. I've interviewed him, too. He explains the name there. This is also his first book, even though he's released two others and a novella this year. I loved this book. I loved the characters. And I loved the setting. The story takes place in L.A. and Murphy does such a good job of painting the scenes that I found myself wanting to go see these places for myself. I identified with the main character, Ollie. He's a kid from modest means that finds himself in the world of the upper crust. A law student, Ollie lands an internship at a prestigious law firm. He's assigned to a case and quickly finds himself over his head. Ollie returns in The Flaming Motel, also a good book. Get a copy of Follow the Money at the links below. I'm not a horror fan. I've read a few Steven King books, but that's it. I picked this book up because of the setting. I'm from Kansas City, and every year when I was a kid we would drive form Texas to Missouri to see family. Our route took us straight through the part of Kansas where this book is set. I didn't know what to expect from this vampire story, but I was pleasantly surprised. These vampires are scary, more animal than human. I liked that. I'm not a fan of the pretty boy vampires, and there was nothing pretty about these guys. I also liked that this was a personal story about revenge and redemption. The fighting here is personal. It's not just between a farmer and an invading band of vampires. It's between people with a history. That was a great unexpected twist. Like the two other selections, if you like this book Alan Ryker has other books available. Unfortunately, it doesn't look like this one is available for Nook users so the Barnes and Noble link below will take you to the paperback version. So, there it is. Go get some content for your new e-reader. You'll like all these books. And while you're at it, grab mine also. You'll like those too. Each is the first in a series, and the second book in each series is getting close to being finished. I haven't been around here much, and that's a bad thing. It goes against about every list of tips I've seen on how to build an audience and a readership. The job search has kept me busy. And Gina says I haven't been in the best of moods the last few months. I haven't noticed it, but I wouldn't really. She's the one who has to live with me every day. I felt like I've dealt with this whole situation well. And, really, she's not saying I've been insufferable, just down. I get that, and, if she says it, it's probably true. But today is Christmas. A day for family. A day for fun. A day for good times. It's a different Christmas for us. We don't have the usual budget for gifts, so we've spent not as much time thinking about the material aspect of the holiday and focusing more on the real reason that we celebrate. The reason for the season as the fans of rhyming like to say. Gina and I have volunteered at church during the Christmas services. We bought a few gifts for the giveaway that the church is doing for some underprivileged kids that live close by. And as tough as we feel we have it sometimes with my job situation, there are plenty of people far worse off than us. So in the spirit of a more focused Christmas, I wanted to include here the classic Christmas story from Luke. Just a reminder that there's a reason for the season. And talk about flash fiction. Luke told the story of the birth of our savior in just over 400 words. I like reading that story, but I like hearing it better. And this is the best version anywhere. Once again, Merry Christmas, everyone. I promised to keep you posted on my ambitious December goals. I needed to sell roughly 60 books in the month to hit the 200 mark for total sold. It was ambitious, but I was hopeful that I could do it. What good are goals if they are easily accomplished? The month started out well. At the end of the first week I'd sold five books. That's a number some would sneeze at, but for me in a week that's great. However, it wasn't going to be good enough to make my goal. Sales needed to pick up the pace. They didn't. At the end of week one I was at five sales for the month. That's where I was at the end of week two. And that's where I am today. Five. Unless things pick up considerably that last week of the month after everyone has opened their new Kindles, Nooks, and other e-readers, I'm going to miss the goal by a country mile. I know there's very little I can do to actually influence sales in a significant way. A lot of the advice from people I trust is to not think too long about sales. Instead, focus on writing the next book. One book sells the other, and until you have a good-sized back list then sales are more likely going to be slower. But I promised some updates so consider yourself updated. Do you have marketing tips? A woman I know from my newspaper days has asked me to come speak to her creative writing class. I think it's going to just be a general info session, but I think she'd like me to focus a bit on marketing. I can tell them my experience, but I'd like to share what others have tried. Stuff that's worked and stuff that hasn't. If you have any tips or advice that students could use, would you leave me a comment? I've got a few ideas for more posts and I'll write those soon when I have a chance. But let's stick with the begging theme for now. Well, not so much begging as informing. I've got a couple sales goals for December. Thought that since I shared total sales last post I'd share sales goals this time. Adding all my sales since March, I'm at 144 books overall. Not bad, but I like round numbers. I'd really like for this year to end with 200 books sold. That means I'd need to have, for me, a record month. I'd need to sell 56 books in December. Is it ambitious? Absolutely. But what else do I have to do? I still don't have a day job. Might as well pour some of the time I'm not using to look for a job into trying to sell books, right? So you may see me pushing my books hard. Lots more tweets. Hopefully more interviews and guest posts that I'll be pushing you toward. It'll be whatever I can think of that might move some books. And if you wanted to help me push the books, please do. Retweet my tweets if you follow me on Twitter. Leave a review at Amazon and Barnes and Nobleif you've read and liked either or both of my books. Host me if you have a blog. Like I mentioned earlier, I'm up to writing a few guest posts or doing interviews. I'll try to keep you updated on how sales are going throughout the month,. UPDATE: Sold two copies last night. Only six more needed to make the monthly goal. It's time for the end of the month begging post. In the past I was shy about sharing numbers. Part of me was embarrassed. The other part was proud. My sales numbers have never been great. I'm OK with that now. They are what they are. I'm a virtually unknown writer. I didn't have an online following because of short stories. I didn't have a previous three-book deal with a publisher. I'm just a guy trying to make a go of the writing thing in a changing writing world. It was foolish to think they'd be anything other than what they are. I added all my sales up earlier this month before I released REUNION. It's been nine months since I released CHASING FILTHY LUCRE, and it has sold 130 copies. Those aren't stellar numbers. I was hoping for more. I was hoping that it would take off. Go great guns. Out of control. But it didn't. Still, it's averaging more than 10 copies a month and that's not bad. I know there are authors out there who'd love to be able to say that. And I've met some great people and gathered some great reviews. Nothing less than four stars. That makes me happy. There are people who truly enjoyed the book. That feels good. Perspective. Perspective. I'm not doing that bad. All that said, I did call this the begging post. So far this month we've sold 12 books total between REUNION and CHASING FILTHY LUCRE. I'd love to sell eight more before the end of the month. That would bring us up to 20 for November. For anyone who also earned a liberal arts degree, that means, basically, selling eight books on November 30. Is it possible? Absolutely. Eight isn't a big number. It's more than I've ever sold in a day, but not impossible. If you are among those who haven't read either of my books, then help me out and buy one. If you've already read one, then buy the other. They are definitely different books, but I guarantee that if you liked one you'll like the other. I've got all of your e-reader needs covered. You can find both books at Amazon, Barnes and Noble, and at Smashwords. And there's even a print copy of CHASING FILTHY LUCRE at Amazon if that's more your speed. UPDATE: The sale I mention at the bottom of this post has been extended until 10 p.m. Sunday night. That's a full weekend to jump on this buy-one-get-one deal. Don't pass it up. Buy CHASING FILTHY LUCRE and get my new short story, REUNION, free. It's the day after Thanksgiving here in the U.S. We call it Black Friday. All the stores have crazy deals that only last a few hours, and people rush out in the early morning to scratch and claw through the crowd to make sure they get whatever it is they came out for. Gina and I have done the early-morning-get-there-before-they-open thing once. Office Max was selling a digital camera for a really cheap price and there was one around the corner from where she lived. This was before we were married so I got to her place extra early, and we waited in line for half an hour for the doors to open. We were in and out of the store in less than five minutes. These days we don't bother with the early Friday deals unless there is something we think is too good to pass up. There wasn't anything this year, especially since I don't have a day job still. We'll go out later in the day. We've actually found this a a good day to go shopping if you wait until about noon to go out. All of the serious shoppers have already come and gone, and the stores are mostly bare. You may not get any of the early-morning big deals that were advertised, but there are usually other deals that are going on all day. Here's the real reason for this post, though. This is the first time I've had something to sell on a Black Friday and I want to get in on the fun. Here's what I'm going to do. A free story. If you buy a copy of CHASING FILTHY LUCRE any time between now and 10 p.m. tomorrow night, I'll send you a coupon code for a free copy of REUNION from Smashwords. How does that sound? Think of it as a buy-one-get-one sale. Or 33% off the complete Jarrett Rush collection. If you want to take advantage of this deal, after you buy your copy of CHASING FILTHY LUCRE send an email to jarrettrush@yahoo.com or leave a comment on this post. 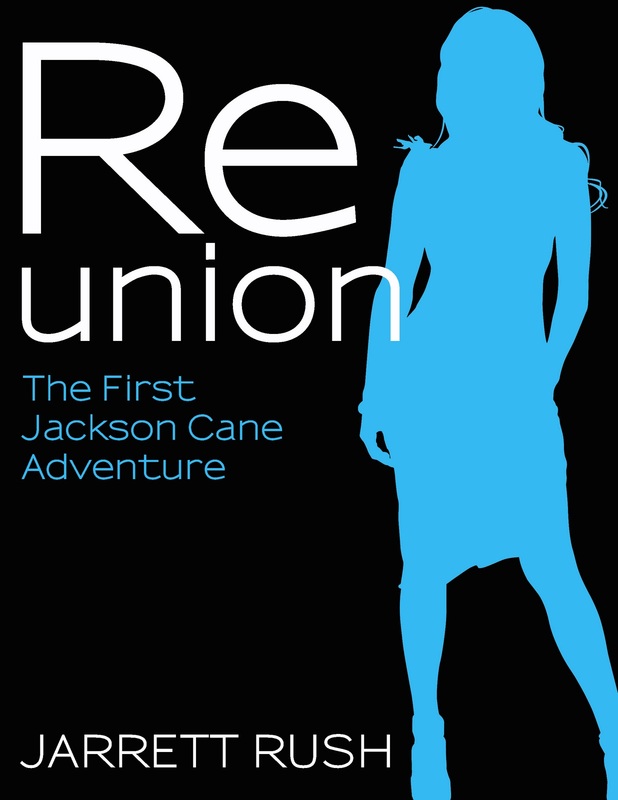 Let me know where you bought it and leave an email address so I can send you the coupon code for the free copy of REUNION. The only thing I'd ask is that after you read each of the stories that you'd leave a review to let others know what you thought. Reviews are key for those of us just getting our feet wet in this writing game. I teased everyone with a new cover a few weeks ago. It was for my short story Reunion. It's the first in a series of stories featuring Jackson Cane. I've struggled with a way to describe what it is he does and finally settled on using the term I've been using informally since I've had him in my head. Cane's a member of the Freak Police. And to find out what that means you're just going to have to buy a copy of the story. It's available now at Smashwords and Amazon. It should be showing up on Barnes and Noble soon, so if you're a Nook user then check there later today or tomorrow. And please let me know what you think. This is a bit of a departure for me, but a total blast to write. I'm already halfway through story two and am hoping to have it available very soon. I haven't participated in a Sample Sunday in a long time. Here's a little something from Chasing Filthy Lucre. Hope you like it. If you do, leave a comment. If you really like it then buy a copy. It's in all the usual spots. For direct links click the "Where to read me" tab at the top of the page. There was an older gentleman who spent his nights sitting in the lobby watching the people pass on the street and reading a book. He couldn't sleep and he'd rather be downstairs than up in his apartment. At least he told me that’s why I always saw him when I came in at night. A nice guy. Never said more than a few words to me. “Good evening, Mr. Rexall,” he said when I’d come in late. That was it, our entire exchange. It always made me smile. He was there when I got home that night carrying my haul from Raul’s. I climbed the stairs to my apartment. I sat the bags down in front of my door and fished in my pocket for my keys. Inside, I sat the bag from Raul's on the kitchen counter. If this were a few years earlier, I would have plugged in as soon as I was inside my apartment. The port in my arm would have itched, would have begged me to put it to use. There was a wire straight from the wall, added as a convenience years before I moved in. Easy data access for anyone with a terminal. I’d had it converted to my own personal hot jack. Plug in. Heat up. Pass out. Plugged into the feed, I could forget about life for a few minutes. The experience started as a tingle near the port where the wire connected to my arm. It started like something crawling under your skin but quickly turned to a burn that rushed across the entire body. For a few minutes it was uncomfortable. You wanted to pull off your skin. But, if you could wait -- if you could push through the hurt -- your body would settle into the rush of data that was assaulting every last nerve. You would calm. You couldn’t hear anything. You couldn’t think anything. You just were. For your time on the wire you didn’t have to deal with life in the present or remember life in the past. All of those things you’d seen or done were gone. They weren’t affecting you anymore. That was the appeal. That’s why so many soldiers were the first to abuse the technology. When someone said they were "on the wire," the wire referred to was the one that ran from your port to your brain, not the one from the source to your port, although that’s what most people thought. It was an understandable confusion. It was a technology developed by a team of Dutch doctors and scientists. Exactly how it worked I couldn’t tell you, but it’s made up of three parts. There’s the port. It’s typically inserted into the arm, but really it could go anywhere. The older a person was the more discrete the location of their port. The younger, the more visible. Many kids were opting for a port in the neck. The thinking was that the shorter the distance from the port to the brain, the more intense the sensation. How much more intense the experience needed to be, I wasn’t sure. The second element was the wire itself. It’s a fine piece of microfilament that ran from the port to the brain and the third element, the net. A net, also made of microfilament, was woven into the different parts of the brain. The digital came into the port, ran along the wire, and then spread across the net and into the user's head. The original applications were military. Soldiers were given their mission details with the port. They’d plug in at night and wake the next morning with their orders and all pertinent background information. The original ports came with a governor that controlled the flow of data to the brain. Hackers cracked those soon after ports were approved for commercial use. Mine was a military unit, first generation. I had it cracked in a small computer shop two blocks from base as soon as I was discharged. Done by a hack in a back room. Me laying on a table and him plugging a beaten up laptop into my port. He punched some keys and I laid there and felt the flush of digital for the first time. It started with a tingle that ran up my arm and into my shoulder. It crossed over to my neck and then into my head. It became an intense heat that left me dizzy and light headed. From my head, it ran down my chest, past my waist, and into my toes. For the first time I felt my head tip back and my mouth drop open. I could no longer think. Nothing was in my head. All the things I’d seen and done had been replaced by the heat of the data. After thirty minutes and twenty bucks I was on the wire. I finally set up everything needed to sell autographed print copies of Chasing Filthy Lucre. It's the box over there at the top of the right column. So if you were waiting with bated breath, wait no more. Click on the "Buy Now" button. I'll send one your way. A little sneak preview of something I've got planned for release soon. Hopefully before Thanksgiving. Should be 99 cents. It's a little different for me. No sci fi in this one but there is a bit of paranormal.This is the cover. Let me know what you think. This week's interview is with SM Reine. She's a great writer, a wonderful cover artist, and, now, a publisher. Her new book, Death's Hand, comes out next week. She has a great blog with great tips. Take a couple of minutes and get to know SM Reine. Give us the elevator pitch, not for your book, but on you. Give us the down and dirty on SM Reine. By day, I'm immersed in information systems (mainframe and server operations, to be exact), general office work, and motherhood. By night, I'm sleeping. I cram writing and publishing somewhere in between all of that. Now, how about your books. What do we need to know about Six Moon Summer, All Hallows Moon, and The 19 Dragons? Six Moon Summer and All Hallows' Moon are in the same series. They're a refreshing take on werewolf mythology following a character named Rylie Gresham, who's this teenage vegetarian that ends up turning into a flesh-hungry monster. She's her own worst enemy. The 19 Dragons is a steampunk novella with a surrealistic fantasy bent... if I can get away with crossing that many genres. You're a fantasy writer. I assume that means you're a fantasy reader. Have you always been and what is it about the fantasy genre that draws you in as both a reader and a writer? I'm actually into speculative fiction at large. As a kid, I sharpened my teeth on writers like Tamora Pierce, KA Applegate, Christopher Pike, you name it. Of course, I also had a hearty dose of the classics-- HP Lovecraft, Edgar Allan Poe, Jules Verne, Sir Arthur Conan Doyle... Choking down realistic fiction is like trying to swallow rocks for me. I have no interest in it, although I couldn't tell you why. Maybe I'm too much of an airhead. How about steampunk? You describe The 19 Dragons as a steampunk novella. Steampunk is a sub-genre that fascinates me. How did you get interested in it? And what's it like once you start writing a steampunk story? Steampunk is something I discovered through movies and TV shows rather than literature. It's been one of my creative influences for years. For instance, Chitty Chitty Bang Bang is a great example of early steampunk. I should have known I was in trouble when I found myself lusting for the goggles and gloves worn by Caractacus Potts as a kid! But I found writing steampunk to be a harrowing experience. The subculture is huge. People will put so much money and time into adapting their appliances, fashion, and even their entire house to this elaborate Victorian aesthetic, and since I took a lot of artistic license with the genre, I was afraid of disappointing the fanatics. I really second- and third-guessed myself over The 19 Dragons for the weeks leading into its release. It turns out the fans are forgiving. The warm reception was pleasantly surprising. I love your book covers. You do those yourself, at least as far as I know. What's your background in graphic design and, as far as covers go, what's your creative process like? Thank you! Yes, I do all my covers, and I also offer inexpensive cover design for some of my indie friends. I've made covers for Kindle-bestselling writers like Heather Hildenbrand and John O'Brien. That said, I have no background in graphic design whatsoever. In the industry, I'm what's called a "self-taught Photoshop hack." Years of fiddling with personal photos turned into fiddling with stock imagery to create photomontages, and then it somehow became an important (and fun!) part of my career. When I'm about to embark on a project, I spend time researching similar books and how their covers were designed. I focus primarily on recent and upcoming releases, although I also like to dig into the history a bit because what's fashionable in design is cyclical. Then I pick out hundreds of stock photos I think might fit the project and start whittling down concepts. I usually make at least 3-5 covers for any one book. It's horribly inefficient! My process is growing more streamlined as I mature. What's the biggest problem you see with most book covers from indie authors and how can it be fixed? The biggest issue I've seen is distorting photographs. A lot of sins are forgivable in the indie world, but when you have an image stretched to a different ratio, it looks horrible and it screams "unprofessional." Good typography also determines if your cover is effective or not. OK, on to Red Iris Books. How did that come about and what's the plan for it? I've been sitting on this business plan for a small, web-based publishing company for years. I actually went to college for business (which, as anyone can tell you, might be one of the less useful degrees you can obtain) and I developed this idea as I trudged through classes on accounting and marketing. Since then, I've been sitting around tweaking it as I see changes in the market, and dreaming of the day I would get the time and capital to make it happen. There will always be excuses to put off big decisions. It sounds cheesy, but becoming a mother made me realize how fleeting time is, and I decided I was done waiting. 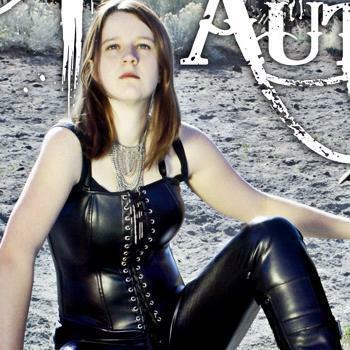 I am currently building a platform as one of the best sources of dark fantasy for teen and adult audiences. In the next year, Red Iris Books will slowly open its doors to adding new authors, although it's going to remain extremely selective. I want to help foster careers. The idea is to provide quality control without requiring the authors to sacrifice creative control. I was at a sci fi convention recently and I listened to a panel of small press publishers talking. Most everyone in the crowd wanted to know what the publishers were looking for. Specifics on lengths, rights purchased, services provided to the authors. If Red Iris were on that panel what would have the answers been? I am currently acquiring projects by invitation only. As such, the answers to these questions vary widely depending on the needs of the individual author. In the future, I will open submissions to novel-length dark fantasy, and provide editing, formatting, cover design, and promotional services to the authors. Since we will be adding authors to the Red Iris family selectively, we will be able to give each project a lot of individual attention to ensure it reaches its full potential. What's been the most surprising thing you've learned since starting Red Iris? Publishing, as with all small businesses, is much more than a full time job. You don't take vacations. You don't get breaks. You can only get out of it as much as you put into it. Yet while it's definitely a tough industry -- and this economy makes it tough to get into selling a product -- everyone involved shares a passion for books, so I make quite a few friends and have a lot of fun while exhausting myself with work. Readers, reviewers, authors, and publishers-- they're all fantastic people. I couldn't do any of it without my support network. A scenario: A benevolent tyrant comes to you and tells you he's going to ship you off to a small, unpopulated island. He hands you a bag that will hold just three books and tells you to fill it. Which books do you put in there and why? Firstly, Peter Pan. That book is very special to me. I loved the adventure and fantasy of it as a child, but as I've matured, the book becomes a deep meditation on childhood, aging, and death. They say in the book that Peter takes children who have died partway to the afterlife so they aren't afraid on the journey. It's touching and frightening. The second book I would take is the Lord of the Rings omnibus edition. Can I get away with that? I could hardly be much of a fantasy fan if I didn't adore the original work of fantasy by the master of world-building. Finally, I would have to take the unabridged edition of The Stand by Stephen King. It's not my favorite of his books, but it's a heck of a read. If I'm going to be on some boring island (I hate beaches!) I need something long to distract me. Of course, every time I read it, I get a horrible cold and become convinced I'm going to die, but I'll consider that part of the excitement of being abandoned. Give us a recommended reading list. What are a few underappreciated books you love that others need to know about? Benighted by Kit Whitfield is the first book to come to mind. Wrap this all up by telling us what's up next for you and what's next for Red Iris Books. My next release is Death's Hand, which I'm using to launch Red Iris Books along with Angela Kulig's Skeleton Lake. It's the first in an urban fantasy series about an exorcist and her warlock partner who have gone into retirement, and what happens when old enemies catch up with them. After that, I have some very exciting things planned for the Seasons of the Moon series, but I don't want to talk about it too much yet. 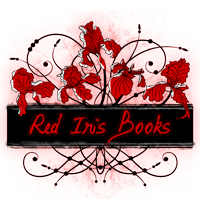 I'll be announcing a new author or two for Red Iris by summer 2012, and we'll be opening for submissions by the end of next year. These next few months are going to be very busy! As part of this interview series I wanted to talk to more than authors. I wanted to talk to book reviewers. I wanted to talk to editors. Well, Neal Hock is both. He's also another person I met through Twitter. Are you noticing a pattern here? I think I got his name through Misty Baker, but I'm not sure. 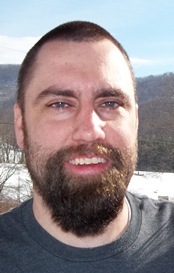 Take a few minutes and get to know Neal and what makes someone want to be an editor or book reviewer tick. On your blog you are a book reviewer, yet there's a link to your editing services on there also. So which came first, the editing or the reviewing? And is that one your first love? Well, I guess it depends on your perspective. When I worked in the corporate world, I was the informal editor of performance reviews and business-related materials. However, I didn’t consider pursuing editing at that time. I started a book-review blog because I have a consuming passion for good books. So with regards to sharing my views on the Internet, the reviewing came first. As to what my first love is, I’d have to say I have a love of well-written, good stories. That’s my motivating passion for both editing and reviewing. However, real life has a way of funneling you in certain directions, and due to time constraints, my book reviewing is taking a backseat right now. What makes someone decide that they want to review books? A love for good stories. At least that’s what motivates me. I love the exhilaration I get when I finish a good story, and I can’t wait to find the next one. What about editing? Were you the one weird kid in class who looked forward to diagramming sentences? It’s funny, but I wasn’t that interested in grammar-related topics in school. Hell, I didn’t read a lot books throughout high school. I just didn’t get excited about The Scarlet Letter, The Good Earth, and The Great Gatsby. However, when I went to college, I had a professor for freshman English that encouraged us to discover modern authors, and from that moment on, my passion for interesting stories was ignited. As to being a weird kid, I had my quirks. I’m probably a much weirder adult. My wife still gives me a strange look when I bring my Chicago Manual of Style to bed for bedtime reading. Seriously, though, what kind of editing services do you provide? Do you work primarily with independent authors/self-publishers? I provide proofreading, copyediting, and concept editing. The vast majority of my clients are independent authors, but I’ve also worked with publishers and websites. What's the biggest error you find yourself correcting? Do you have a most infuriating mistake you find? Wow, I’m not sure there is one that stands out. Each author has personal tendencies, so that kind of evens everything out. There are always wayward commas and misspelled or missing words. I guess the most common mistake I find across the board is missing hyphens in compound modifiers. I’ve never been infuriated when I find mistakes. It’s really quite the opposite, because mistakes mean I’ll continue to have work. For years I did newspaper copy editing work. My favorite Associated Press style rule was for under way. It's two words except when it's used in a nautical sense. Do you have a favorite style or grammar rule? Please say you do. It will make me feel much less like a language loser. Anyone who can appreciate such a nuance is not a language loser in my book. I’m a sucker for a hyphen in a compound modifier, and I love apostrophes of omission. When to use everyday and every day always gives me the warm fuzzies, too. See, now I look like the language dork. Since you review books, it stands to reason that you've read a lot of them. What are three books that came across your desk that surprised you? And they don't need to be surprisingly good books. We all know that something can be unexpectedly bad. Well, I’ll stick with the good. The whole point of my book-review site is to share good books. If I read something that I’m not crazy about, I usually just set it aside and keep my mouth shut. You know, the whole “if you can’t say something nice” thing. The biggest thing that has surprised me since I started reviewing books is the number of quality works being self-published. There are a lot of talented writers out there that are relatively unknown. Three books that blew me away when I read them: As I Embrace My Jagged Edges by Lee Thompson, The Pack: Winter Kill by Mike Oliveri, and Identity Crisis by Debbi Mack. I'm sure there are a few indie authors reading this. How can they contact you if they wanted to? The website for my editing services is http://www.hockseditingservices.com. 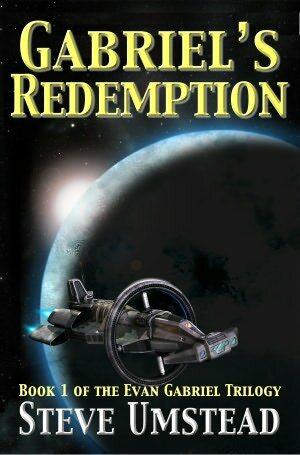 The website for my book-review site is http://bookhoundsden.blogspot.com. An e-mail address to contact me directly is on each site. Can you give us a recommended reading list? What books do we need to read if we haven't yet? Sheesh, you’re trying to get me in trouble here. I’m afraid I might leave someone out. Here’s a few authors everybody needs to try: Guido Henkel, Stephen James Price, Debbi Mack, Mike Oliveri, Lee Thompson, Anthony Neil Smith, Scott Nicholson, R.E. McDermott, Willie Meikle, David T. Wilbanks, and Jeff Bennington. What's the biggest piece of advice you have for authors as a reviewer? What about as an editor? From a reviewer’s standpoint, I’d advise authors to not argue with a reviewer about the reviewer’s review. Especially if you solicited the reviewer. Recently I’ve seen a couple of authors say all kinds of things about reviews they didn’t agree with. If you get a review that’s bad, see what you can learn from it and then move on. From an editor’s standpoint, I’d advise authors to always continue to learn more about their craft. Continue to put tools in your writer’s toolbox. If there are things that you struggle with, pinpoint them and try to improve. In this new digital age a writer can’t afford to put out a subpar product. Wanted to take a minute on the blog here and send out a special happy birthday message to a very important person in my life. Me. It's my birthday. I'm turning 38 today. Two years away from 40. It's a little hard for me to believe. I don't feel nearly 40. Not every day anyway. I almost feel like life is just now starting. No, I don't have a job, but that's OK. That's part of the fresh start. I am getting a chance to start my professional life over. I'm still a newlywed, so that part of my life still feels like it's just starting. And I'm still working on the beginning of this writing life. See, everything is just starting. We've already done plenty of celebrating this weekend. Met and celebrated and with both my family and Gina's family over the weekend. We went to the state fair yesterday. And tonight we are going to a small celebratory dinner before an event at church. See, big last four days. So yeah, I'm 38, two years from 40. But life's just beginning. Feeling moved to do something for me for my birthday? I can't think of anything better than buying a copy of my book. So Amazon decided this was as good a week as any to shake up the e-reader/tablet computer market. The big headline, or at least the headline that everyone expected to be the big one, was about the Amazon Fire. And I'll admit that another tablet on the market is cool. And, yeah, this one probably has the best shot at challenging the iPad. Although, I'm not really sure that the iPad is challengable at this point. Besides, with its features and size, the Amazon Fire looks more like Amazon's attempt to go after the Nook Color and not the iPad. What excited me more about Amazon's announcement was the new line of Kindles. Especially the new prices on the Kindles. Those are game changers. The $79 and $99 price points that Amazon announced earlier this week make the ereaders a little more than an impulse buy. More people with readers mean more people needing books to fill them. That's what has me and other authors excited. I read several blog posts about the whole thing. I grabbed a few snippets I wanted to share. Like me, they seem to be looking forward to the holiday shopping season. The first bit is from Jon F. Merz. You can read the entire post HERE. Amazon’s drastic price reductions will mean that more people than ever before will start to embrace ebooks. They’ve been hearing about them for a while. And now they can actually see what the fuss is about. Dropping the Kindle to below $99 bucks is a huge move and psychologically, the purchase of an ereader now becomes an-almost impulse buy. With indie authors pricing their ebooks intelligently between $2.99-$4.99 the lure of ebooks has never been stronger. It’s going to be one very interesting holiday season, indeed. Sean Sweeney looks at lots of things in his blog post HERE. I particularly liked his take on the Barnes and Noble response. Of course, B&N is coming out with new devices later this year, a new Nook Color rumored to be among them. Here's what I think B&N will do: panic. They'll see the writing on the wall and try to undercut Amazon like they did in Summer 2010. Amazon will then calmly cut the price of their devices even further, which they did after B&N brought out the 3G Nook. Bezos makes the guarantee: Amazon WILL have the lowest price ereader out there. That is how you revolutionize reading. By being the affordable e-reader that everyone wants. Let the holiday shopping begin. 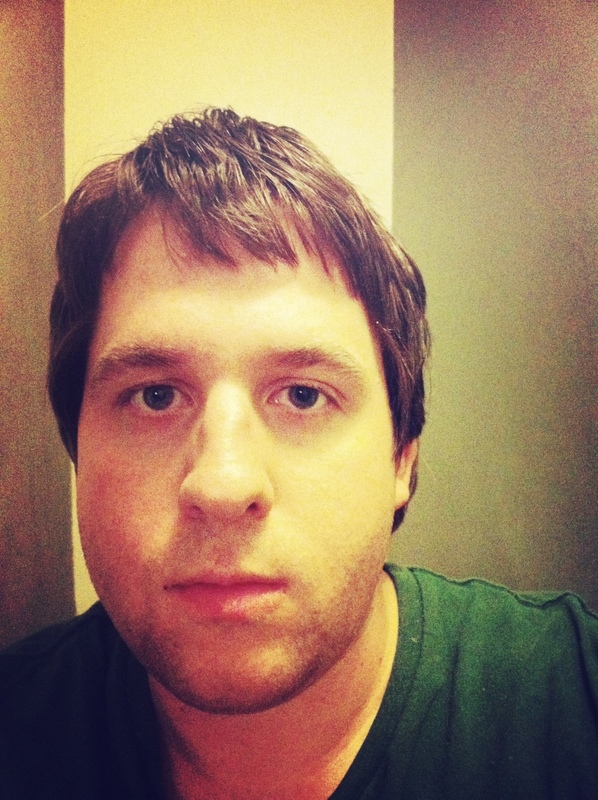 Today I turn the blog over to Sean May, a writer currently living in Indianapolis, Indiana. His work has been featured in Crimefactory, Diagonal Proof and 5923 Quarterly. His debut novel, The Case, is available for the Kindle. His collection of short stories, Crimewave is coming to the Kindle and the Nook this October. The impact of noir on our culture is far-reaching, encompassing seventy or so years of dark alleyways, femme fatales, shifty criminals and crooked cops, but typically when people talk about noir, their focus goes to two specific mediums: film and literature. And why shouldn't it? Noir was born in the pages of pulps and explored even further on the sliver screen. But noir goes deeper than those two medium, and its influence can be seen in just about every form of entertainment, but it has had a significant impact on music. With that in mind, here's a quick list of 3 artists that have a decidedly noir tone to all or some of their work, in no particular order. Hailing from Brooklyn by way of Cincinnati, The National evoke a sense of James M. Cain style domestic dread, full of people who have given up on their dreams to settle into a world of tense, drunken parties and illicit rendevous. Their 2007 album Boxer is a gin-soaked masterpiece, with each song portraying an often dismal relationship. Lead singer Matt Berringer's rumbling croon leads you down into the deep, dark recesses of your soul, and you may not like what you find once you get down there. Their follow-up, High Violet, is a bit more upbeat, but still retains Boxer's sense of dread with songs like Conversation 16 and Anyone's Ghost. If your first experience with Neko Case is with her power-pop supergroup The New Pornographers, you haven't even seen the half of her talent. While Case's New Pornographers' work is bright and shiny, Case's solo work is gloomy and forlorn, taking a decidedly rural bent, but with a definite noir core. Case's voice glides like a hawk above the fray of the treachery that she depicts in her songs. Tracks like Deep Red Bells, Twist The Knife, and Margaret vs. Pauline are tiny dramas set against a bleak noir background. Case avoids being a one-note femme fatale in the sense that her lyrics often reflect an enjoyment of the dire situations she participates in, or even creates. Now, this will probably be a controversial choice to say the least, but stay with me for a minute. Kanye's inclusion on this list is due almost entirely to his 2010 masterpiece My Beautiful Dark Twisted Fantasy. Across the album's tracks, West portrays the hardships and darkness that lies behind even the most apparently glamorous lifestyle. Tracks like Power and Devil in a Red Dress show that the pressures of excess can be deadly, while Monster casts West and his cohorts as vengeful miscreants who will spill as much blood as they need to get to the top. If you're looking for more noir in Kanye's work, it'll be tough to find, but My Beautiful Dark Twisted Fantasy is a prime example of how the darker side of fame can weigh heavy on the shoulders of those at the top. At the sci fi convention I was at over the weekend there was an author who'd put a sign on the table they'd rented. It said something like this "Rent the other half of this table for $5 for half an hour." I would have. In a heartbeat I would have. If I had the books I'd ordered I would have. But I didn't have the books and it didn't make sense to rent the table with nothing to sell. I was hoping at the end of the week last week that the books would get here in time, but they didn't. So I just took my postcards on the freebie table with about 100 other cards. I did have 15 taken so I count that a success. But what I wanted were the books. Those were going to go for $5 a piece. I really think I could have sold several of them at that price. Heck, I think I could have sold all of them. But they didn't get here until about 5 p.m. today. A day late. Really, though, what this means is that there are more books for you to buy now. I'm still trying to work out how that will work. I've been looking into adding a way to buy the books from the blog. I know there has to be a way to do it, I just don't know how. I'm sure I'll figure something out. What I do know is that when you buy a copy from me I'll sign it unless you tell me you don't want that. It will be like a perpetual book signing. So stay tuned. Something's coming. If you just want to buy a copy of the book right away, you can do that too. It's on Amazon. Click HERE. This week's interview is with Fingers Murphy. No, that's not his real name, as you'll find out. He's another someone who I met through Twitter. You seeing a pattern yet? If not, give it time. You'll see it. Fingers has two books out right now, Follow the Money and The Flaming Motel. As you'll be able to tell from the questions, I really liked Follow the Money. The story is great, but I really loved how L.A. became so much a part of the story. I'm in the middle of The Flaming Motel now and it's just as good. Once you get done reading the interview go and buy the books if you don't already have them. You'll love them. So where did FOLLOW THE MONEY come from? Give us the story behind the story in 150 words. The murder at the center of the story was adapted from a real case that occurred in the Seattle area in the late-80s. The defendant in the real case was tried three times and lost every time. I thought that would make a great jumping off point for a much more sinister plot. The legal machination at the center of the story takes an obscure legal doctrine -- obscure to non-lawyers anyway -- and turns it on it's head. I decided to try writing a legal thriller about ten years ago. I wanted something very accurate. That really captured the world I was in, which was one very much like the firm in the book. What I found interesting was that these white shoe law firms are not at all bad places like you see in movies. But there are compromises people make to work at these places and the result of those compromises is that people often end up very different than they intended to. That fascinates me. Very smart, ambitious, hard working people who sometimes contort themselves to justify who they are and what they've become. Was it always a plan for Ollie's story to evolve into a series? No. I had no intention to write a sequel to Follow the Money. That idea came from my agent. I was going to write a stand alone crime novel and she said that was crazy. Publishers wanted a series and she believed that if this was a series she could get me a very big deal with a major house. So, I sat down a came up with a second Ollie book, which became The Flaming Motel. You're in the legal world. How much of you is in Ollie? There are obvious parallels. We both come from blue collar backgrounds and knew nothing about being a lawyer. I always tell people that the only lawyers anyone in my family ever knew were court-appointed. And that's true. Ollie and I both went to work at major law firms, probably seduced by the same basic things, status, money, and the sense of surprise that someone from where we came from could ever even get access to this world. But beyond that the parallels end. I'm still in that world and was probably never as naive about it as Ollie is. Ollie's life in The Flaming Motel, which is the sequel, is much more the fantasy life I think about when I imagine how things would have gone if I'd chucked it all and walked early on. What drew you to the law as a profession, and is it the same thing that draws you to it as a writer? Or is it more of a case of writing what you know? I came to the law the way many people do: because I didn't know what else to do. I'd gotten a psychology degree. Your choices at that point are basically to become a teacher, go to grad school, or enter the job market and be one of a million others entering the market with no marketable skills. I had no interest in teaching, so I went to grad school. I settled on law because I thought I had some idea of what lawyers do and the subject seemed interesting. Turned out that, like most people, I had no idea what being a lawyer is really like. But the subject is inherently interesting. As for writing about legal settings, it probably is a case of writing what you know. Although I do think there is a reason legal thrillers are so popular, along with movies and TV shows about law: the subject touches our lives in so many ways. So, in that sense, the legal thriller is really just a framework to talk about anything else you might want to talk about because there are legal issues to just about everything. So you can tell endless stories within stories in the legal genre. That said, $200 and a Cadillac is not a legal thriller at all. So I'm trying to get outside my comfort zone. What's the story behind the name Fingers Murphy? Why the need for anonymity and how did you decide on Fingers Murphy? It's actually a joke between my wife and me. When she was pregnant with our son and we were going through the inevitable hand wringing over names, we kept trying to come up with good Irish names. We never settled on one that we liked, but during the process I kept agitating for what sound to me like old school gangster names. "Knuckles" Murphy was my favorite, but I liked "Fingers" too. Needless to say, the name was still available when I needed a pseudonym, and it was thematically appropriate for what I was doing. As for anonymity, I work in a world that is extremely sensitive about how even the smallest thing is perceived. To the extent I say anything negative about the practice of law, or large firms, or even have the characters say negative or aggressive things about the law -- which they definitely do in The Flaming Motel -- the pseudonym provides a buffer. I've also published a legal book under my real name and the thinking was that it's better to separate the two identities. One is the professional lawyer/legal scholar identity, the other is the fiction writer. That legal book was published by a major publisher, so I actually did go through the process once. It was a good experience, but when it was all done I thought: Is that it? Is that really all you guys do? I can do this myself. Any chance we ever find out who you really are? Honestly, if some enterprising person who knows the legal world really wanted to figure it out, it wouldn't take too long to come up with a short list of possibilities. I challenge someone to do that, and make a big public spectacle of it too! Might sell some books that way. New York Times? Are you listening? I think we have next week's magazine piece all ready for you. Without getting too specific and revealing your secret identity, give us your writing history. Like a lot of writers, I knew early on that this was something I wanted to do. I wrote my first novel when I was 15 or 16. Truly awful stuff. And I kept at into my early twenties. Then I realized I needed to have a day job, so I put the writing on hold, went to law school, became a lawyer and started practicing. Then, in my late-twenties, I started feeling this real urgency, like if I didn't get serious right away I never would. I always imagined I'd write serious novels, whatever those are. The kind of crap people thinks is great when they're in college. But then I realized that, not only is that not what most people actually read, it wasn't even what I was reading. I used to look down on genre writing and then I realized that that's often where the most interesting stuff really is. So I challenged myself to write a legal thriller and I sat down and pounded out Follow the Money. I sent it off to some agents and, after a few months, I got one. Amazingly, this was an agency that specialized in mysteries and had a very good track record and I thought, what are people talking about when they say this is hard? This is easy! Little did I know. Well, the agent was very excited. I had just turned thirty, she loved the book, started sending it around, and she told me I had to get working on a second in the series immediately. She was pretty convinced that we were going to land a major deal. This was 2003. I was the perfect age to break out as a hot young writer. She thought the book was one of the best debuts she'd read in a long time. The certainty she had was infectious. So the book goes out, editors at some major houses start asking to read the whole thing, they're asking if this is a series, if I have another book underway. It was pretty heady. We got to that stage with three houses and my agent was talking about how to do an auction. All of that. And then it all just died. It was stunning. The editor at St. Martins actually wrote us a letter (after she called my agent to tell her the bad news) where she said that she thought the second half of the book was one of the most addictive page-turners she'd ever read. And yet, they were declining because their marketing department didn't think the market would support another major legal thriller writer. It was just too crowded. Basically, because they weren't certain that they could sell a million copies, they weren't going to take the book at all. I thought, what kind of insane business model is this? So, freed up from having to write the series, I went ahead and wrote the stand alone crime novel I'd wanted to write, which is called $200 and a Cadillac. At that point I was just having fun, writing for me alone. I sent it to my agent and she declined it! She thought I'd lost my mind! Then I sent it to another agent who had liked Follow the Money and he loved it, but he declined it too. He wrote me a letter, this was probably in 2006, and basically said, I love your book, it's exactly the kind of thing I personally love to read, but there's no way I can sell it. No major house is going to buy it. I appreciated the honesty. So I sat down and wrote another. This one is a very dark novella. I kind of laughed when I was doing it, because I thought, a 25,000 word novella? Talk about something no publisher is going to buy! But I didn't care anymore. I decided the guiding principle had to be to write something I would find interesting. I had to trust that there would be other people out there with similar taste. What's your relationship like with the city of Los Angeles? I'm not from LA. I often think that nobody really is. That's not true, of course, but I always find it curious when I hear someone refer to LA as their hometown. The city is a lot of things, but it's hard to think of it as a "hometown." The word just doesn't fit. I first came to Southern California when I joined the Marines at 19. And I found it so iconic. I mean everyone in America has an idea about LA because it's so pervasive in our culture. It's weird to drive around as an outsider because the whole place is eerily familiar to you. After all, you've seen it in moves and on TV since your childhood. And yet, it's like seeing a famous person. You know who they are, but you don't know them at all. And like any complicated person, LA takes time to get to know, and once you do, you discover that it's nothing like you thought. It's a complex, contradictory, interesting, and infuriating town. And it either works for you or it doesn't, but you won't know that until you've been there for a few years. In FOLLOW THE MONEY I got a real sense of LA. I think I mentioned to you on Twitter that the way you described it made we want to move there, a place I've never even visited. Was it a conscious choice on your part to make LA as much a part of the story as it seemed to be to me? Or was I just reading way too much into it? It wasn't conscious. But I do think that locations are important. The two books I have coming up, the crime novel $200 and a Cadillac and the novella called Everything I Tell you is a Lie, take place elsewhere. The first in the Mojave desert and the second in rural eastern Washington state, and I hope the locations in each are equally evocative. I am a believer that place defines us in more ways than we realize. We carry the place where we come from with us our entire lives, and that affects our relationship with whatever place we're in. How we react to it, what we see in it. Ollie comes from a poor, working class neighborhood. So he sees money in everything. From the opening page of the book where he's obsessing about the cost of the lunch and Jim Carver's shirt to the end, much of what Ollie observes about the world is economic. The place he comes from is economically deprived and the place he's in is one of the richest places in the world. Time for another story-behind-the-story moment. How did THE FLAMING MOTEL come together? This time take as many words as you need. As I said before, I had no plan for a series, so when my agent demanded that I write a second book, I found myself scrambling to come up with an idea. The basic event that starts the book, the shooting of Don Vargas at a Halloween party, actually happened in LA. In the real case it was an actor who was shot. It was one of those terrible stories about police overreaction that are unfortunately too common. I took that incident and built a plot around it. I wanted to write a story about redemption and whether some things are just unforgivable. I also wanted to explore the idea of ambiguity in relationships and the corrosive effect of secrets between two people. And I wanted all of it to get rolled into something that, for me, had the feel of an old school 50s or 60s detective novel. Like a legal thriller written by Ross MacDonald. God comes to you and says I need all of your books but three. Which three do you keep and why? Wow. That's a good spin on the favorite book question. I guess I'd start with The Old Man and the Sea. I really think that's one of the greatest books ever written. I love it when a master who's been working at it for his whole life finally strips his work down to its barest elements. That book is Hemingway giving it his all, but at the same time employing total self-restraint. I could say the same thing about Cormac McCarthy's The Road. I would take McMurtry's Lonesome Dove. To me, that book does everything a huge, sprawling epic should do. How do you write something a thousand pages long and leave the reader begging for more? I wish I knew. I'd love to write a crime novel that long and engrossing some day. Lastly, I'd take Walt Whitman's Leaves of Grass. I love him for that bold language. I've been trying to teach my son to find his barbaric yawp since he first started to talk. I think he's getting in touch with it. And hey, Whitman was self-published too, so we're all in good company. Give us a recommended reading list. What are some little-known books that more people should be reading? I tell everyone who likes crime and detective novels that they need to read Ross MacDonald. He's not "little known" among fans of crime fiction, but the wider public has forgotten him. I think The Chill is one of the greatest books of all time. But you could say that about a lot of his books: The Underground Man, The Far Side of the Dollar, The Blue Hammer. He's awesome. James Crumley's The Last Good Kiss and One to Count Cadence are two books that should be in every bookstore in America. I feel the same way about Jim Harrison's Letters to Yesenin. I actually carry a copy of the recent Copper Canyon Press reissue of that book in my briefcase with me. It goes everywhere I go. It's been all over the world. There may be no better book for a struggling writer to read. How can you argue with a guy who writes: "Years ago I was ambitious/But now it is clear that nothing will happen"? Especially when that guy goes on to become one of the best writers of his generation? There's hope for us all. I'd probably hide that one from God too. What's up next for you? What can we look for in the future? The next book, $200 and a Cadillac will be out as soon as I can get it out. The novella Everything I tell you is a Lie comes after that. Then I've got four different novels that are in various states. One is another Ollie book that, if it gets written, will be told in third person and will feature, Ollie, Liz, Detective Wilson, and Max Stanton from The Flaming Motel all in equal portions. It's a risk because the book won't have that first person Ollie narration. Another is an offshoot of the Ollie books. Ollie could be a minor figure in it, but the central character would be Max Stanton, who is thrown out of his firm and ends up "retiring" in Montana, only to get drug into a bizarre case. I've thought about writing that one as straight Ollie book too. The plot is all worked out around the Stanton character. But I could change that. Then, I've got a stand-alone book about a man who abducts his son and takes him on a road trip from LA to Seattle, all the while being pursued by the FBI. I love the story and have a bunch of great scenes written for it, but it hasn't gelled for me yet into a complete narrative. I'm missing a couple key pieces. Who knows if I'll ever find them. Finally, the book I might actually complete first is a real departure for me. It's a comedic picaresque novel about a mysterious guy who shows up in a small mountain town and tries to return to nature as a modern day Thoreau. Of course, he ends up running for mayor, backed by a group of ultra-libertarian secessionists. Given the political climate in our country, I actually think that one's pretty timely.